While transitioning to my soon-to-be nomadic lifestyle, occasional moments of fear and doubt creep into my psyche. I shoo the negative thoughts away pronto! I don’t have time for doubts and fears. I have too many things to do before I leave for my year-long road trip adventure. My brain is skilled at creating what if scenarios before I embark on any big trip and this time is no exception. I choose to steer my brain into a positive direction and move on. I replace any crazy negative what if thoughts with positive outcomes. I visualize something enjoyable like hiking at Big Bend National Park, watching sunsets in Arizona, taking long walks on the beaches in California, and visiting friends in-person that I have known online for many years. The truth is there are plenty of unknowns in life. I make plans for my future and take steps to reach the goals I have set for my life. Some things work out as planned and others not so much. Hopes and dreams are what keep us moving along through life. One of my mantras for many years has been every day in every way my lifestyle is improving. I have repeated this mantra during my morning yoga, and during my thrice weekly swims. The freedom to roam the country on a multi-month road trip while still maintaining my income is my idea of a big lifestyle improvement. But what if I hate this lifestyle experiment and have to schlep my stuff back to Austin and tell everyone that it just didn’t work out like I had planned? So what?!? I have to give it a try! Follow along with this blog and I’ll let you know how things turn out. Planning on going nomadic and switching to a location independent lifestyle I have to forget the fear and take a leap into the unknown. My road trip plans are falling into place. I have booked my first 3 months of accommodation already with Airbnb – check it out and get your free $40 credit! I am booking apartments with great amenities like a heated swimming pool at my home for 7 weeks in Tucson Arizona – LOVE Airbnb! I have created a spreadsheet to list all the places I want to visit during my road trip and I keep adding more as I learn more about the regions I will be visiting. I am getting so excited! Each solo trip that I take involves some planning and I am enjoying the planning process for this giant road trip adventure. I took my first solo road trip in December 2010 when I visited the west Texas towns Marathon, Marfa, Fort Davis, and Big Bend National Park. I left on Christmas day and returned on New Year’s Eve. 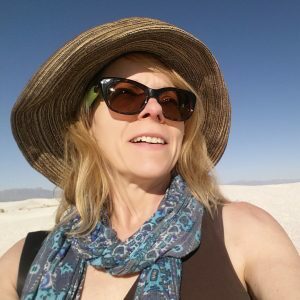 I loved the experience of exploring west Texas on my own! It will be fun to revisit the places I saw in 2010 to see what has changed, or remained the same. 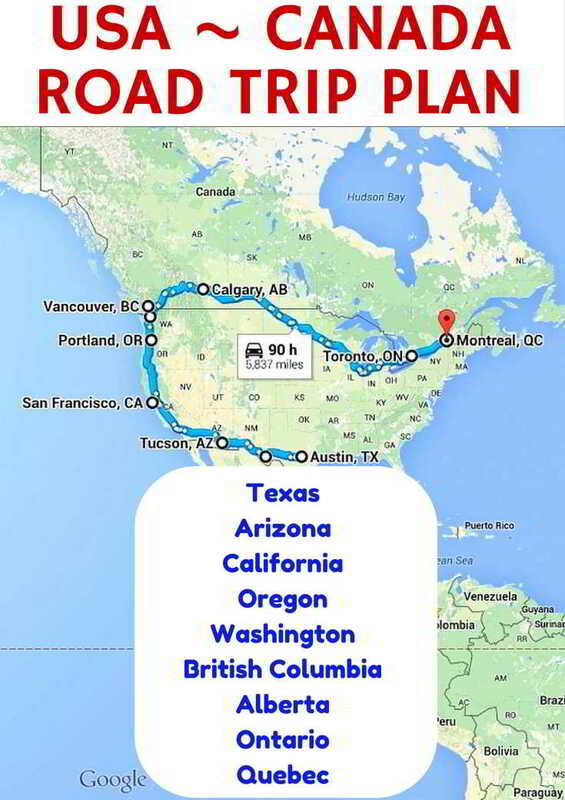 Here is my road trip plan leaving from Austin on September 30th 2015 to the west coast USA and on to Canada for summer 2016. Balmorhea State Park – to swim in San Solomon Spring pool! Pacific Coast Highway – I’ve dreamed about this for many years! San Francisco – meet some of my online friends in person! Port Townsend – meet my artist friend Ruth – in person finally! Banff National Park – it’s been 20 years since I visited! Jasper National Park – never visited in all my years in Calgary! October – back to Austin Texas….or someplace else??? I want to avoid hot summers and cold winters during this road trip. I plan to drive south sometime in October and be back in Texas by November. I need to do a lot more research about the east coast region of the USA in order to plan the drive back down south to escape cold winter weather. I am already imagining an alternate plan where I drive south from Calgary instead of traveling east to Toronto and Montreal. I will have to decide next summer! I would love to get suggestions from anyone who has visited/lived in the places I plan to visit. What are your suggestions and tips for my road trip? I’m particularly looking for tips for the drive from Calgary to Toronto and from Montreal back to Austin TX, thank you much! Good for you and my best wishes are with you as you commence this very exciting venture. I think you are brave but also know that you will have a wonderful time. I will look forward to following your adventures and cheering you along all of the way. Thanks Paula! I am so excited about this new adventure, it will have challenges but the rewards will be worth it! Looks like a great adventure. Good luck. I look forward to following along. Should be a fantastic road trip. If you find yourself near Northern Virginia and DC, give me a shot. Or I might see you on the road! I’m in Toronto so be sure to look me up once you arrive! I’m headed to Grenada alone for two months so share your comments regarding solo travel! What a great trip ahead of you, Susan. You are very brave to go nomadic, and I look forward to following your journey. Bravo! I am so excited for you and can’t wait to read all about your adventures! “The truth is there are plenty of unknowns in life” is so very true. I am often told by my friends they worry about me traveling alone or to foreign countries to which I point out anything can happen to anyone no matter where they are. It’s all about planning and traveling smart! Thank you Marilyn! Yes, I get those type of comments from some people too – we have to keep things in perspective. I am chronically optimistic so the negative stuff gets pushed aside quickly. Hi Nancie, Nova Scotia in the summer or fall would be wonderful! I did spend Christmas there last year – fortunately the weather was far warmer than usual, I am not much into winter weather anymore! I will hit you up for some tips if I make it to Nova Scotia! Such an exciting trip, I’ve always dreamt of doing a US/Canada road trip. Look forward to reading about your discoveries along the way. I was born and raised in southwest Michigan, lived in Minnesota for 35 years and am very familiar with Wisconsin, Illinois, and ND as well. I would suggest you consider Galena, IL (across the Mississippi from Dubuque, IA in northwest IL, not too far from Madison WI). It has all the requisite small-town Americana 19th century preserved, mainly because its brick buildings were more impervious to fire. Home of 9 Civil War generals. Well worth the side trip (and since you’ll be a slow traveler, you can make side trips like this!). As well, you might enjoy Stillwater, MN, another river town of the same vintage. The Great River Road from Minneapolis south to Davenport is an amazing drive, crisscrossing back and forth through awesome little communities like McGregor IA, Prairie du Chien WI, Trempealeau WI, Winona and Wabasha WI, with wildlife refuges and river bluff parks. Perfect for eagle spotting and imagining yourself the explorer you are. This will be an amazing journey. So excited for you! Let me know if I can suggest anything else in Southern Michigan on your way through to Detroit and Windsor. Betsy, thank you so much for all these wonderful tips – especially the small towns – adding them to my spreadsheet list now! I have enjoyed visiting small towns around Texas and Louisiana, they each have their own character and charm. 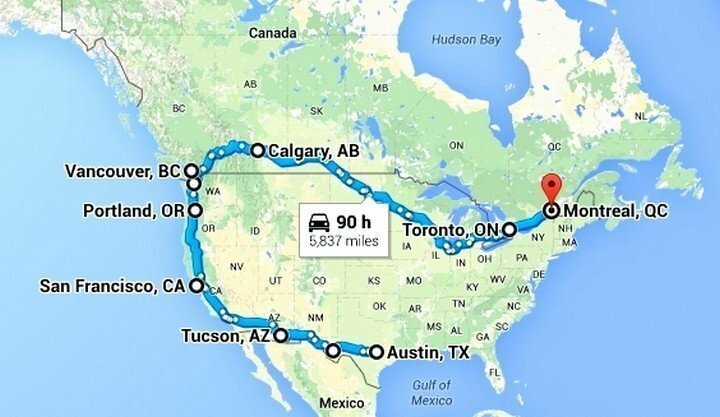 I could see this nomadic lifestyle experiment lasting for several years simply driving around the USA and Canada. It will be interesting to see how I adapt to the nomad life. I will likely call on you for more tips when I get closer to exploring this region. Thanks again! Thank you Brooke! You are so right, if I didn’t go I would forever regret it, always asking myself “what if”? I must face the doubts and fears and step into the unknown. I think I have a healthy mix of excitement and anxiousness about this new adventure. I am a bit of a control freak, so this is definitely a step outside of my comfort zone. It’s time, I have a cushy life here in Austin. 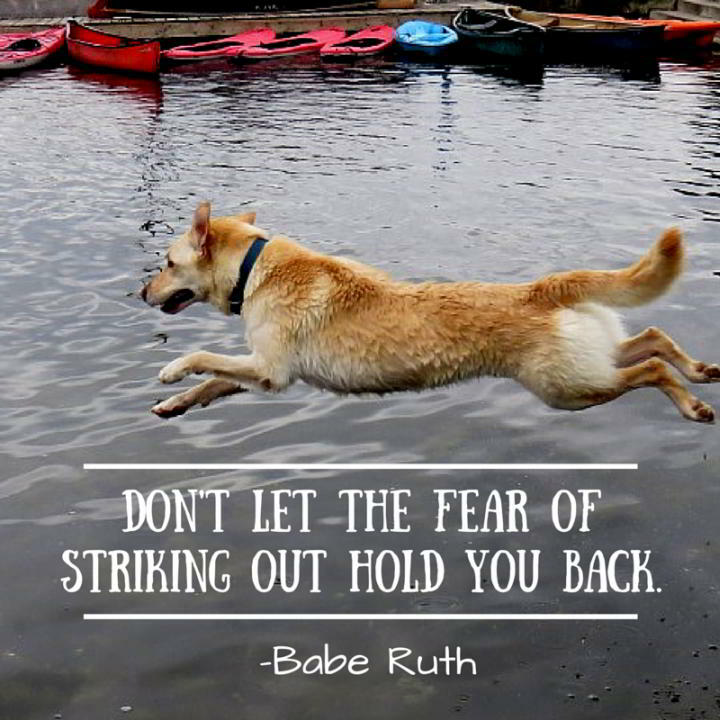 Time to shake things up a bit! Best wishes with your career change! I see New Mexico was left off your main list between Texas and Arizona, as you are traveling west across the “USA.” New Mexico is part of this great country, folks and you don’t need a passport to visit. I did notice though, you mentioned White Sands. Woot, woot! Maybe next time. Yes I am skipping through the beautiful state of New Mexico. I will be spending just two nights in Las Cruces in October. I was already thinking, next time I need to spend more time in New Mexico! There is so much to see around the USA I could do this for years. Will have to see how this nomadic lifestyle suits me. Susan: It was a pleasure meeting you today at Chicot State Park. I’ve traveled the US and Canada extensively and could make some recommendations about the areas you may be visiting. I live near Pensacola, FL, am headed back home in a few days. If you are ever in the area I’d be happy to play tour guide. Safe travels. Hi Jon, enjoyed talking with you yesterday. Thank you for sending the emails/photos from your travels, the Black Hills Wild Horse Sanctuary in South Dakota is now on my list! I will be in the area around June 2017. I’m sure I will add more places as I read through your emails. Will definitely contact you when I am in the vicinity of Pensacola FL. Enjoy your travels!